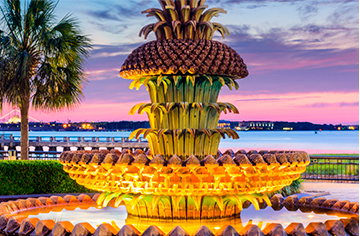 Thank you for joining us in Charleston, South Carolina for the 32nd Annual REMI Users’ Conference. We are truly grateful to everyone who attended and helped make this conference the largest and most successful to date. Following our tradition, attendees voted on the location for the 2018 Users’ Conference, and they picked San Diego! We are already planning ahead for what we anticipate will be another exciting event – this time along the beaches of Southern California! At this year’s event, speakers shared their insights on a range of vital subjects related to economic development, environmental policy, transportation, and fiscal analysis. We also recognized outstanding analysis through the George I. Treyz Award for Excellence in Economic and Demographic Analysis. Our judges received a number of excellent papers to consider. We honored users’ contributions by presenting an award for the best paper overall, as well as for excellent analysis in two specific categories. We would like to extend a special thank you to everyone who presented at the conference or submitted a paper for consideration. Charleston was a wonderful host city for the Users’ Conference. The attendees enjoyed staying right in the heart of the historic downtown, with easy access to excellent restaurants and other attractions. This year’s group activity was a beautiful cruise out to Fort Sumter, taking full advantage of the amazing weather and a sweeping view of Charleston. Stay tuned for details about the 2018 conference. We hope to see you next year in San Diego. For your information, you can see a list of everyone who attended the three-day conference by clicking here.